Buying a home is often the single largest purchase you’ll ever make. Choosing the right buyer’s agent to represent you is critical. Below is a list of top questions ask a Buyers Agent to help you understand how we will represent you and protect your interests. Buying a home is often the single largest purchase you’ll ever make. Choosing the right buyer’s agent to represent you is critical. 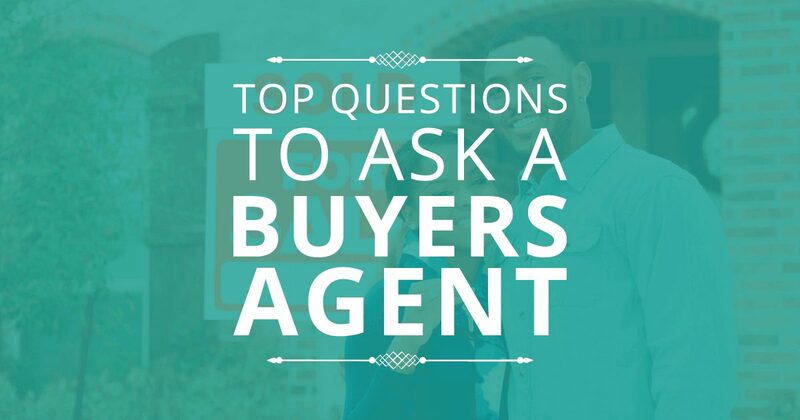 Below is a list of top questions to ask a Buyers Agent help you understand how we will represent you and protect your interests. Why should I use a Buyers Agent? A buyer’s agent is an advocate for the buyer—not the seller—in a real estate transaction. Buyer’s agents owe full fiduciary duties, including loyalty and confidentiality to their buyer clients and act in their clients’ best interest throughout the entire transaction. Working with a me as your Buyer’s agent does not add any expense; commissions are typically paid by the seller of a property. I have 20 years of real estate experience. I will be by your side, assisting you the entire way. I work directly with you through the whole buying process. Initially we meet so I can understand your needs and wants , that way we can find the perfect home for you. I can even help you find a lender with programs that fit your budget. Throughout the transaction I negotiate the purchasing terms and many contractual requirements necessary to complete the real estate contract. I will guide you through negotiations, home inspections, home warranties, title insurance. down payment and earnest money; all while maintaining our fiduciary duties to keep you information strictly confidential. Because of my extensive time in the business and working with so many different clients (both buying and selling), it allows me experience in all price ranges and types of property- ranging from townhomes to homes with acreage. I have programs for first time home buyers, re-sale moving up buyers and down-sizing buyers. You can almost always get in touch with me. I work diverse hours to meet clients schedules -I like that part of being a Realtor! Client’s work schedules can vary, as can travel and kids. It is important to always leave a message or text as I can be chatting with a client, meeting with a client or meeting with a home inspector, appraiser or lender. This is a personal preference of the client. Whatever is most convenient; email, text, phone or face to face. I have a book of business that is ever changing. Due to the way real estate works, I am in different phases (showing property, writing an offer, meeting with inspectors, builders or title officers) most of the time. It all depends on the client; are you just beginning to look or did you find the perfect home and we are in the inspection phase? I am a hands-on Realtor. I will not spin you off to anyone else as may happen with a large team. I like knowing exactly what is going on in a transaction and enjoy managing it myself with the client. I receive commission typically paid by the seller of a property. This agreement is in place with the listing agent through the MLS. Yes! I do have an extensive list of Vendors- to include home inspectors, lenders, tradesman, handymen, title companies, etc. The list changes as new individuals come into the industry and sometimes as others retire or leave the business. Buying a home is most likely the largest item an individual will purchase. Clients deserve service, education and courtesy. I look forward to working with you should you choose me to represent you! I have been a licensed Realtor since 1999 and have a proven track record. Contact me anytime to talk about your options of purchasing real estate here in the beautiful Treasure Valley. Thank you.